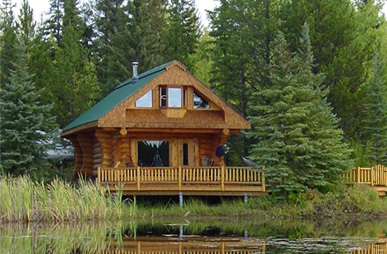 When many people think of cabins, they cringe at the idea of cold water, no electricity, and uncomfortable beds. Being accustomed to staying in a hotel has wrongfully misguided these folks into believe that only outdoors enthusiasts and survivalists would ever enjoy a cabin experience. Would it surprise you, then, to learn that the cabins for rent in Georgia are nothing like these stereotypes and can meet the needs of any vacationer? Regardless of your personal background, preferences, or needs, there is truly a cabin for everyone. In order to help you to narrow down your choices, here's a look at three of the most popular types of cabins for rent in Georgia. Cabins in North Georgia provide the perfect setting for any romantic getaway, and their close proximity to the charming Alpine village of Helen only makes them more ideal for couples. 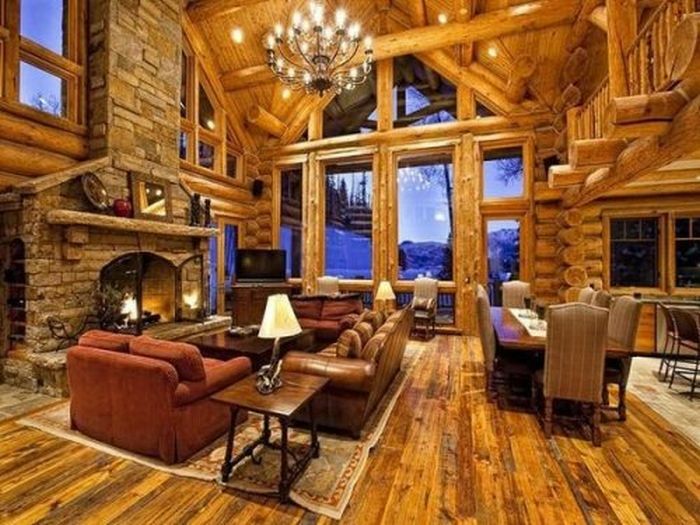 Cozy yet luxurious cabins for two make it easy for sweethearts to fall in love all over again. You can even handpick nearly every element of your cabin so that it provides as romantic a setting as possible. For starters, you will be able to decide how close or far away you would like your cabin to be from Helen. If you plan on popping into town for some couples-friendly activities you may want to select one that is situated just a few miles outside of the city. This will allow quick access to Habersham Winery, the Alpine Carriage Company, Sunburst Stables, and local day spas - all of which are popular spots for couples. Others tend to prefer to keep to themselves and enjoy the seclusion provided by cabins that are located further away. Next, you will have the ability to select which type of view that you and your honey would most enjoy. How would you like to watch the sun go down over the northern Georgia mountains each day? 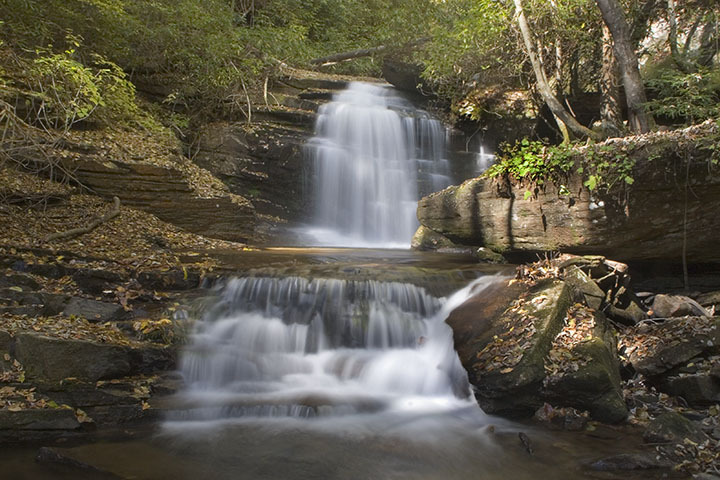 Or would you most prefer to see and hear your own private cascading waterfall? Other couples enjoy the ability to watch deer lapping water from a creek behind their cabin, while others like the idea of being surrounded by a timberland forest, teeming with plant and animal wildlife. Lastly, you and that special someone will be able to decide which amenities you'd like for your cabin. Typically, hot tubs and Jacuzzi baths are a must for those who are looking to rekindle their romance. Fireplaces are also able to add to the loving atmosphere. And all of our cabins are equipped with modern kitchens so that you can whip up a special meal for your special girl or guy to be enjoyed by candlelight. If you're traveling with children, cabins for rent in Georgia are the best way to go. Multiple bedrooms and bathrooms can do wonders for bickering siblings so that your time spent on vacation can actually be enjoyed together. Families love choosing from cabins with game tables such as Ping Pong, Foosball, and Pool because they allow the group to come together and have fun. You can even hunker down in the family room and watch a movie on your flat screen TV after a day of tubing in the Chattahoochee River or panning for gold. There's even plenty to explore outside of the cabin. Children love to splash in their own private creek, make leaf rubbings, look for animal tracks, and watch for native wildlife. And because you'll have a fully equipped kitchen at your disposal, you'll be able to avoid the hefty bills associated with feeding a family of hungry mouths at a restaurant each night. Ultimately, the cabins for rent in Georgia provide the highest degree of fun for the lowest cost possible. A mountain cabin vacation allows families to think big. The lush and spacious rentals provide the most affordable, convenient, and comfortable spot for extended families to come together and enjoy each other's company. Cabins can be rented in blocks that can sleep over 100 persons, allowing everyone to have their own space while still keeping everyone close together. Handicap accessible cabins are available within these blocks for senior members of the clan, while bunk beds can allow all of the cousins to have fun sleepovers together. The adults can enjoy overseeing their children's activities from the comfort of the cabin's wraparound porches and patios. Fire pits and barbecues are popular amenities for family reunions as they enable the group to come together to trade stories and share a meal - perhaps you could even grill up some of the trout that the fishermen in the group were lucky enough to catch. Which of the luxurious cabins will most fit your needs? 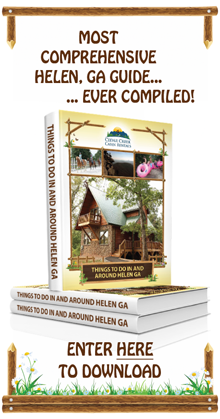 And if you're looking for great things to do in Helen when you come visit, download our FREE insider's guide to Helen by clicking below!